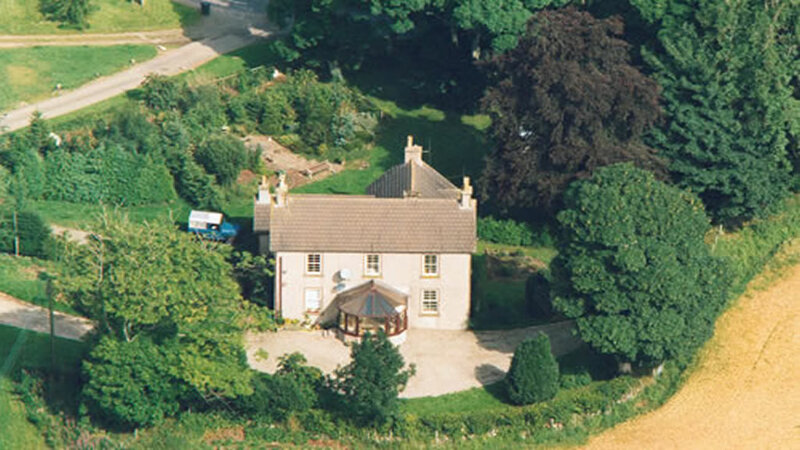 4 Star Farmhouse B&B in Lintrathen, near Kirriemuir in Angus. Purgavie Farm is situated at the foot of Glenisla looking towards the Strathmore Valley. The nearest town of Kirriemuir lies 5 miles north of Forfar in the Angus countryside between the Cairngorms National Park and Dundee. Kirriemuir is famous for being the birthplace of the author JM Barrie. The farmhouse is part of a 450 acre working sheep farm which also includes historical Bronze Age sites you are welcome to explore. There is a choice of Double, Twin or Family rooms all ensuite and some of which can connect for larger groups or families. The farmhouse also has a generous amount of additional space available for guest use including a lounge and conservatory. Purgavie Farm would suit visitors interested in outdoor pursuits such as walking, cycling and birdwatching. Your hosts can also arrange fishing on Lintrathen Loch or shooting on the farm. Other places of interest are Glamis Castle (10 miles) and J. M. Barrie's birthplace (7 miles).